John Betlem Heating & Cooling was among the first of the HVAC contractors to offer the Home Performance with Energy Star Program. We pride ourselves by being involved with programs that help our customers in many different ways to save up to 40 percent in energy costs. When a work scope for the proposed improvement has been developed, each energy savings measure will be quoted with an estimated payback, to help you prioritize what up-grades will save you the most. Having an In-Home Energy Audit by a certified BPI certified specialist makes you eligible to take advantage of the following Energy Star incentive options. Energy Star Financing: Low Interest, unsecured loan, for one-to-two family, owner-occupied homes. 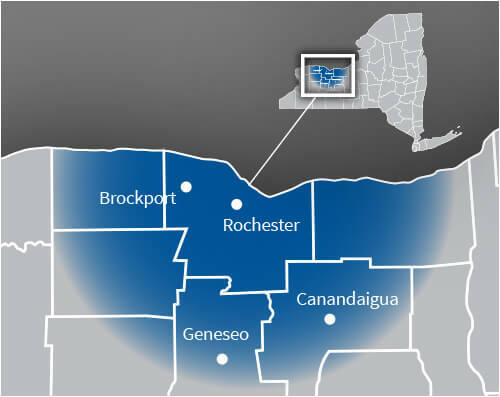 New York State Energy Smart Loan Fund: Low-Interest loans offered through local, participating lenders. Assisted Home Performance with Energy Star Grants: Income eligible families would qualify for grant up to $5,000 for energy efficiency upgrades. Getting the energy audit you need for Rochester, NY area home is as easy as making a call to John Betlem Heating & Cooling, Inc. We can help you get the energy audit you need so that you and your family can experience the best in home comfort and energy efficiency. Simply give us a call at 585.271.8888 and we will be more than happy to help.